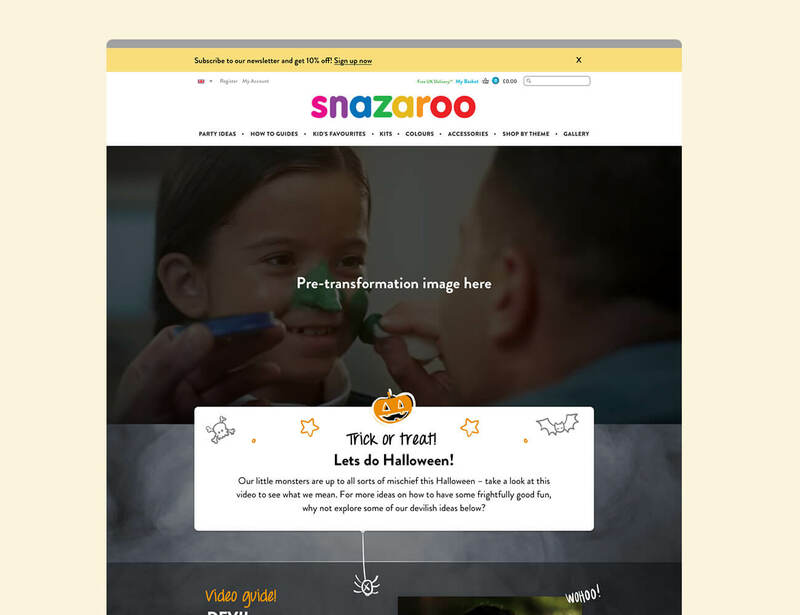 We worked in conjunction with our partners at Publicis Media to realign the website for Snazaroo. 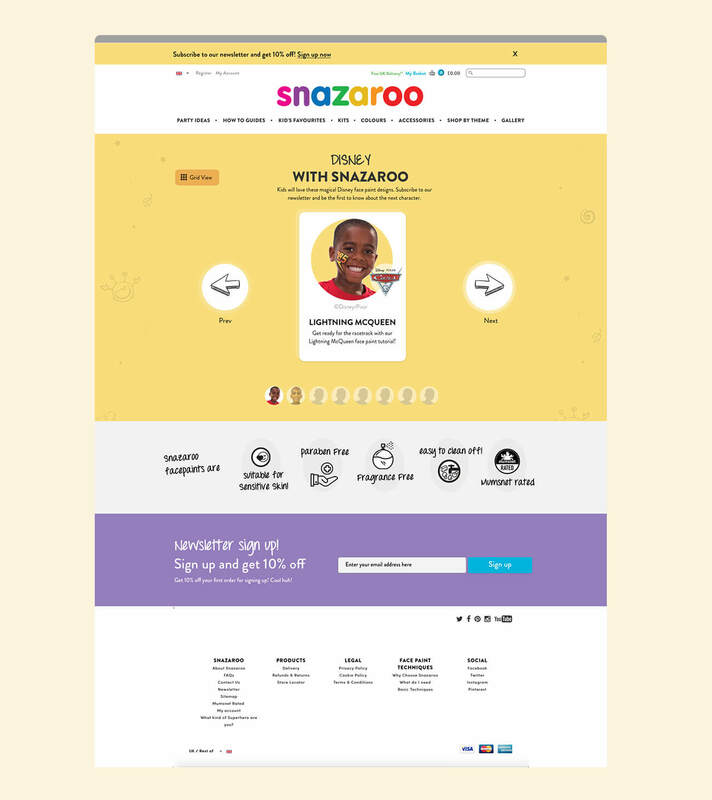 The idea was to give the website better conversion and improve upon the UI and UX. We provided the strategy and design work for this interim website, with a view to reappraising the entire site design in 2018.